The Mandarin Orange was free from Smiley360, click icon below to join! Did you know all Seventh Generation™ Hand Wash formulas are free of triclosan, dyes and synthetic fragrances? The lively scent of Mandarin Orange & Grapefruit is sure to refresh and awaken your senses. It’s like a touch of sunshine on your countertop! 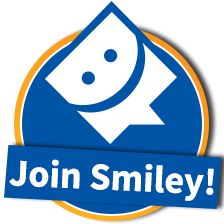 I received a free bottle from Smiley360 (click icon above to join!) I am glad to say it was a very pleasant experience. The hand soap is 100% natural and smells great. The Orange and Grapefruit is the scent I received, but I liked it so much that I went and got a hand soap for my kids' bathroom. I choose the Pure and Clean scent from Target. There are two other scents as well.